All of those options were good but instead, I decided to bake them as a side dish. And, they came out pretty good. 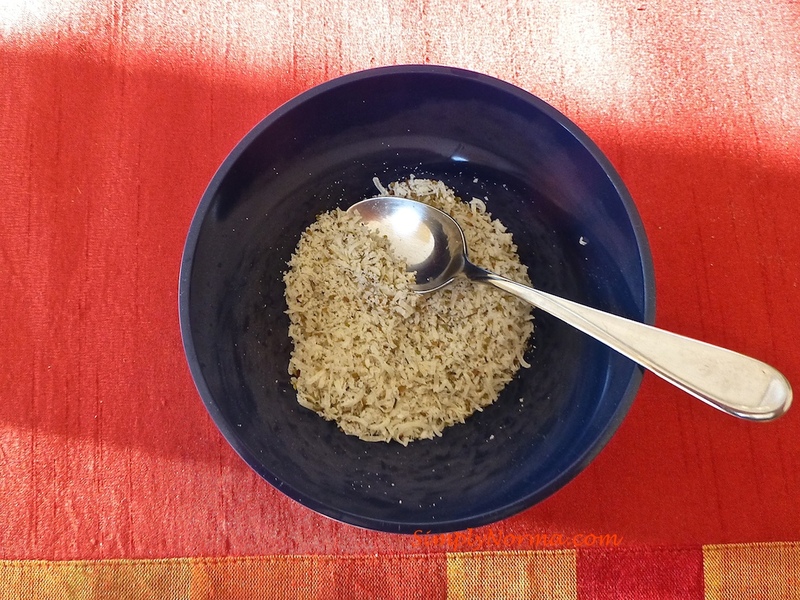 The recipe calls for aged grated parmesan cheese which is not really paleo but more primal (the primal diet allows cheese). It’s quite interesting reading about the difference between the paleolithic diet and the primal diet. There are so many opinions and variations on these diets — it’s enough to make your head spin. You can use basil (dried or freshly chopped) or any other herb you like. 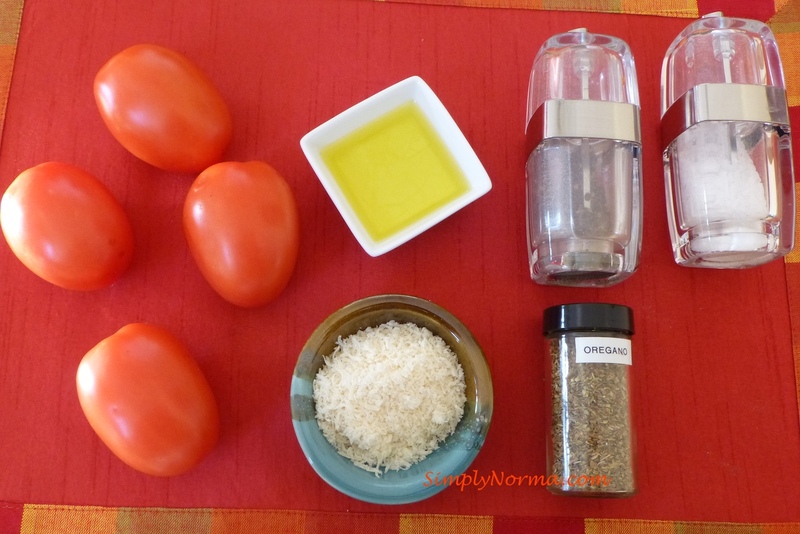 Next, you’ll be slicing your tomatoes lengthwise and putting some of your herb mixture on top of each tomato. 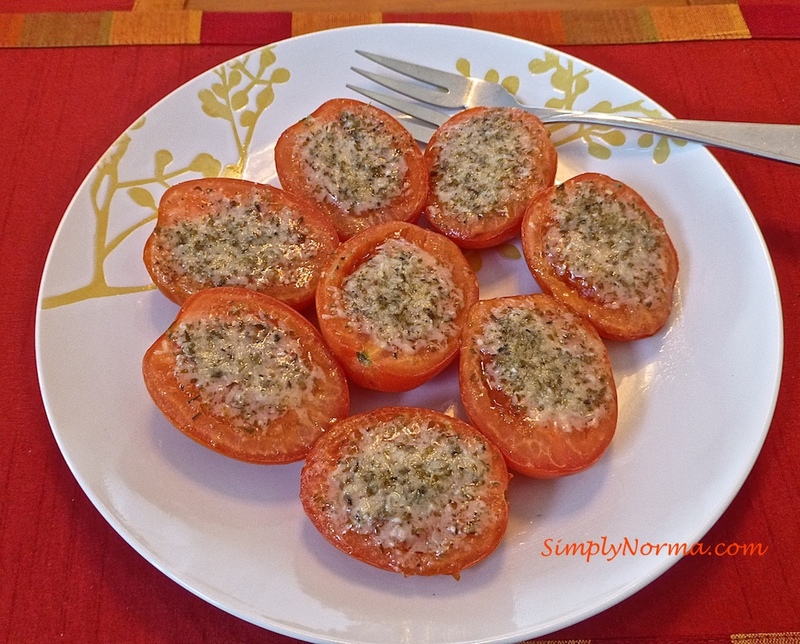 Then you’ll be pouring a little bit of olive oil over the tomato halves. 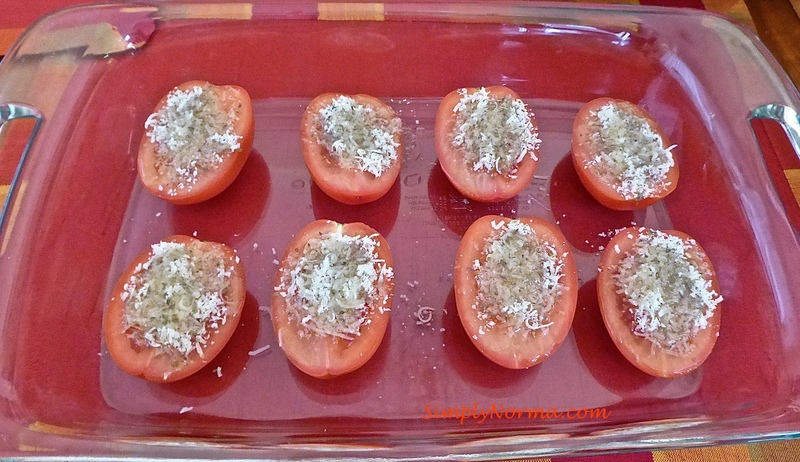 Next they’ll go in the oven … Are you ready to try it? And that is pretty much it. They are juicy and great tasting! This recipe was adapted a tad from Food.com.